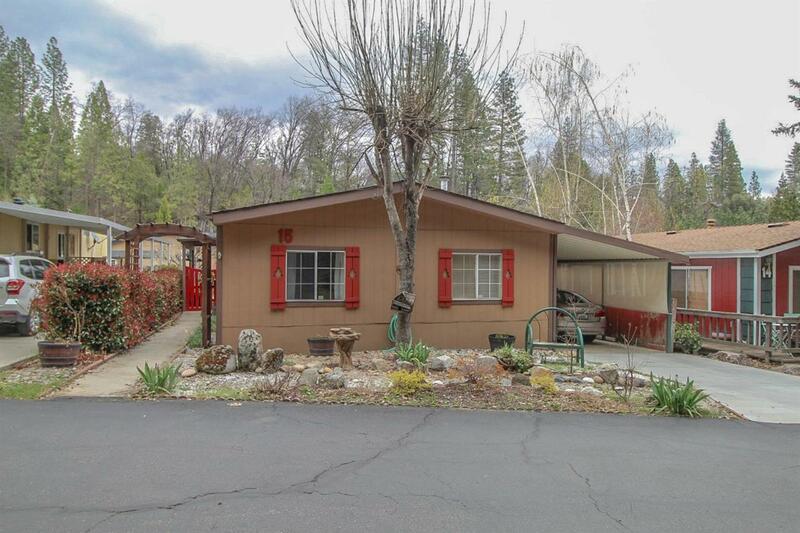 Great location situated amongst the tall pines. Bass lake located just across the street as well as the Pines Resort. This home has a great open floor plan, large kitchen with lots of counter space, living area has wood burning stove and vaulted ceilings. Fresh paint in most rooms. 3 Bedrooms with plenty of storage. Nice rear yard with patio and lovely landscaping including award winning iris's. This is a must see call your realtor today!